Is the Nikon D810A good for Street Photography? Nikon D810A has a score of 66 for Street Photography which makes it a GOOD candidate for this type of photography. 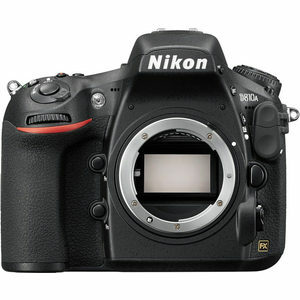 Nikon D810A will satisfy most of your needs, but if you are looking for a camera that is even better suited to Street Photography, we recommend you to check the Alternative cameras at the bottom of this page. Using a viewfinder during a street photography shoot allows the photographer to stabilize the camera and reduce the camera shake since it is closer to the body. Besides, it comes handy where LCD screens are very hard to read under bright sunlight. Live view lets you take photos without using the viewfinder which makes you less obstrusive and this works very well during street photography where you don't want to get people's attention. Face detection focusing mode is very helpful in the street scenes where you focus on a face, since you can concentrate on framing and other adjustments while the camera handles the focus for you. Large sensor in Nikon D810A ensures a good low light image quality compared to smaller sensor, and it also provide shallow depth of field and a nice blurry background when needed. An articulated screen gives you the flexibility to shoot in non traditional positions such as waist level, which helps you to be more creative and unobtrusive in the streets. Due to the lack of sensor based Image stabilization, Nikon D810A users have to rely on lenses with optical IS in order to maximize the sharpness of their handheld street photography photos. Currently there are native Nikon F mount lenses with Image Stabilization for Nikon D810A.